Ever Met A Zombie With A Sense Of Humour? 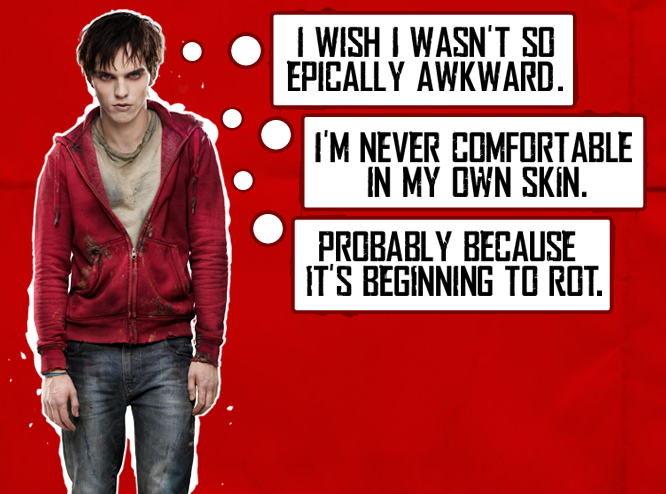 The first movie I decided to watch from my ’10 Must See Movies for Summer 2013′ list (https://sweetescape101.wordpress.com/2013/07/18/10-must-see-movies-for-summer-2013/) was #10 Warm Bodies. I have to say the movie was way above my expectations and really succeeded in surprising me with its creativity, humour and great acting. Nicholas Hoult was truly and impeccable teenage zombie while Teresa Palmer (the lead actress playing Julie) was also fairly good. However, the best thing about the movie was the storyline. 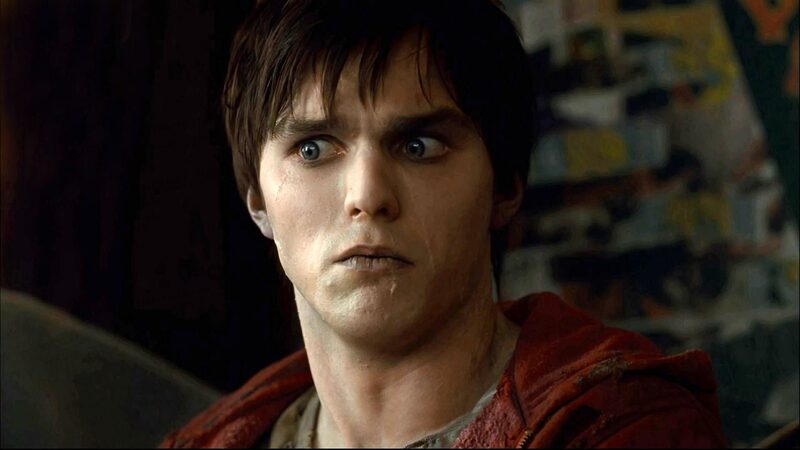 Warm Bodies gives a whole new angle to the way we look at zombies. It is a truly remarkable and unique zombie movie. Zombies remind us of movies such as Night of the Living Dead, 28 days later or Zombieland among the newer movies. However, what Shaun of the Dead failed to achieve, Warm Bodies effortlessly succeeds in creating: a sub-genre of its own. 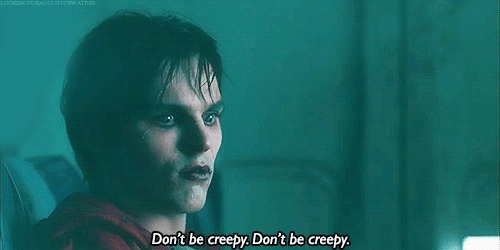 It does so by introducing a zombie with a personality. For more on the plot and a few spoilers, read on! Meet R, a zombie who is not only cute but has a great sense of humour. The movie opens with a R describing his current undead way of life in a highly entertaining ironic tone. R feels lost, trapped and lonely in the world of zombies that surrounds him. He longs to make some sort of connection by expressing himself or communicating with others. He enjoys listening to records and collecting things like any average guy if you ignore the eating people part. So one day over lunch he meets the girl of his dreams. Pretty ordinary I think, if of course you ignore the part where he notices her while munching onto her boyfriend’s brains. So the world’s most adorable zombie falls in love and also suffers perhaps the world’s first ever zombie heartbreak. The movie keeps you entertained with various hilarious moments and a unique love story that is oddly believable. I say if you haven’t seen it yet, you shouldn’t miss out on a movie like this! This entry was posted on July 21, 2013 by samtotally in Entertainment and tagged Julie, movie review, Nicholas Hoult, summer 2013, summer movies, summer must see, teen, Teresa Palmer, Warm Bodies, Zombie.